DETROIT (Reuters) -- Ford Motor Co. today laid out a more ambitious mid-decade plan that includes a higher dividend and a 25 percent increase in capital spending, to take advantage of growing automotive demand worldwide. 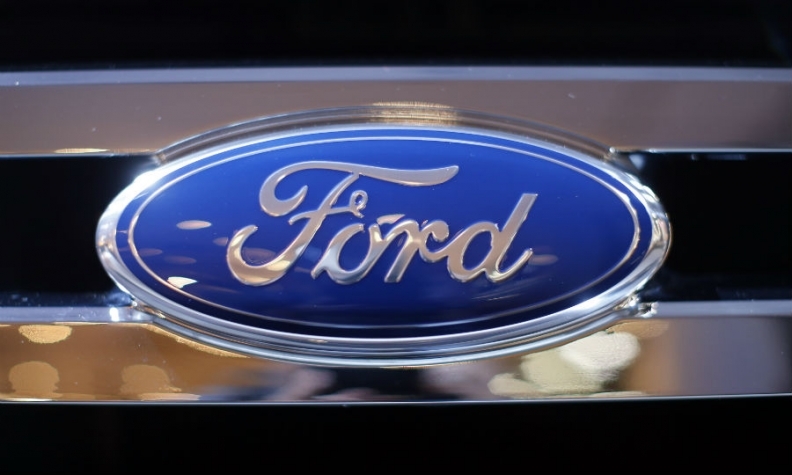 Ford's plans will "enable us to sustain an investment grade credit rating through the inevitable downturn to come," CFO Bob Shanks said in a Ford presentation at an analysts conference sponsored by J.P. Morgan. The automaker expects capital expenditures of around $7.5 billion by mid-decade, up from its previous forecast of $6 billion. "We've indicated that we are going to be taking our capital spending to higher levels because we believe that we've got a lot of momentum and some really, really great growth opportunities that we want to invest in," Shanks said. "I wouldn't think that there would be a whole lot beyond what we have already outlined, through mid-decade," he said. Ford plans to return more capital to shareholders in the form of a dividend that would increase with Ford's earnings and could be sustained even during an economic downturn. The company returned to paying a dividend last year, and doubled the per-share amount to 40 cents in the first quarter. Shanks said that Ford is girding itself for cyclical economic downturns by having an ongoing average of $20 billion in automotive gross cash, and with revolving credit facilities, total automotive liquidity of about $30 billion. Ford borrowed more than $23 billion in 2006, which enabled it to stave off bankruptcy during the devastating 2009-2010 industry downturn, while both its Detroit counterparts, General Motors and Chrysler, went through government-sponsored bankruptcies. Ford again said it would spend $5 billion on pension contributions in 2013. The automaker expects to contribute between $2 billion and $3 billion to fund pension plans each year from 2014 to 2016. Shanks said Ford is maintaining its goal of fully funding and taking the risk out of its global funded pension plans by mid-decade. As the company takes the risk out of the pension plans, it wants to increase fixed-income asset allocations. Shanks said the goal is to have an asset mix of 80 percent fixed income and 20 percent growth. Currently, the fixed-income asset mix is 60 percent, up from 55 percent last year, Shanks said. To get pensions off its balance sheet, Ford is making a lump sum payment to U.S. salaried retirees. Shanks said the company has achieved 60 percent of the expected settlements in that program, which will conclude at the end of this year.